My involvement with Sisense started in mid-2015. I got in right at the buying cycle. As part of our continuing tech investments, CTSI-Global decided to incorporate modern BI technology to help shippers perform advanced forecasting and modeling through elegant and robust visualizations on top of the centralized shipping data we aggregate. I had the responsibility of building the new analytics deployment from the ground up and scaling it to the mature and robust business intelligence solution that sets CTSI-Global apart today. I’m ultimately responsible for the embedded analytics deployment and have almost single-handedly scaled it from our initial rollout to a handful of customers to a large scale deployment across customers with thousands of users, with billions of records (and still growing). Sisense has made this possible via its flexibility and scalability while continuing to be easy to use. With Sisense, we provide white-labeled embedded analytics within our client SaaS applications. Since our target audience covers an entire spectrum of users from the C-Level down to the operational level, our prebuilt dashboards are designed to show high-level metrics when users land on the page and include paths to drill into detail-level data. We also enable governed self-service analytics that empowers clients to author their analytics while removing our team as a bottleneck between them and insights. At CTSI-Global, we pull in millions of invoices and bills each day for hundreds of clients and thousands of end-users situated across the world. We needed to provide a way for our customers to track key trends across the consolidated data, drill into their transactions dynamically, and ultimately optimize their logistics processes. In addition to the complexity and the scale of the eventual deployment, we also had an aggressive timeline to launch and scale the analytics product. Dive deeper into CTSI-Global’s key Best Practices for Scaling Embedded Analytics. For starters, we have data in multiple data sources and we didn’t want to refactor our databases and existing workflows just to launch our analytics solution. Added to that, each customer also has slight variations in their data model (variations coming from their single-tenant database) that had to be incorporated into the solution. Sisense, with its flexible data layer, allowed us to mash up data from multiple data sources in a single place and enabled ad-hoc analyses, agile data exploration, and fully self-service analytics saving us a lot of time and resources. Sisense is truly unique in that the data layer is decoupled from the visualizations. This accelerates the launch of multiple dashboards across use cases without building and maintaining separate data models and enables ad-hoc data exploration without predefined queries and pre-aggregated views. Being the leader of a small team handling the analytics application, it was crucial for me to automate tasks to not only make my life easier but more importantly, provide fast turnaround times. Working with our in-house developers, we built simple scripts that work with Sisense APIs to automate everything from creating and deploying data models (customized to the specific client) to deploying dashboards, syncing users, and enhancing data security. When a new client signs, I have an environment up and running with a few configuration settings. Clients and prospects quickly saw the value in our analytics offering with almost every large customer signing up for our embedded analytics solution. This meant that we had to grow our solution to support thousands of users and billions of records. Let’s start with the infrastructure and deployment. Sisense is easy to set up with options for the cloud, on-prem, or hybrid solutions. Even a non-technical user can install Sisense with a few clicks. We were able to split their architecture into different layers to grow only the necessary resources as we scaled. Sisense supports multiple deployment models — single tenant, partially single-tenant, or multi-tenant, giving us the freedom to pick the one that suited our needs the best. We used a partially single-tenant model where the data and dashboards are isolated from others while the administration is common across assets. With its built-in scalability through the In-Chip® technology and high-performance columnar database, Sisense supports our growth without immense cost or resources. I monitor the environment to track resource utilization. If I see the resources pushing to the edge, I bump it up or add a node if required. Sisense Monitoring is a great option to track important resource metrics for you. Sisense also provides Usage Analytics out-of-the-box to see how end users are consuming analytics. All these tools can help you maintain a robust environment as you scale. While technology is important, a big lesson I learned from scaling an analytics product is the importance of good customer success processes with programs like client onboarding and training. I personally held onboarding workshops with clients to show them what they could do with their analytics solution. More importantly, I partnered with and trained our client service teams to be the first line of support for our clients. They used our analytics solution in their day-to-day with clients to increase engagement and visibility. Your vendor is really your partner when it comes to a huge project like this. I wouldn’t be where I am right now without the support I’ve gotten from Sisense. I have weekly calls with my Customer Success Manager and went to the tech support team to troubleshoot any issue or just ask questions that I needed help with. I also leveraged the Sisense community to quickly accomplish goals without reinventing the wheel. If you want to learn more detail about the best practices I followed, you can find a detailed paper here. 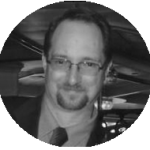 Todd Winton is a Development Manager at CTSI-Global. OEM Architecture: What’s Right For Your Business?